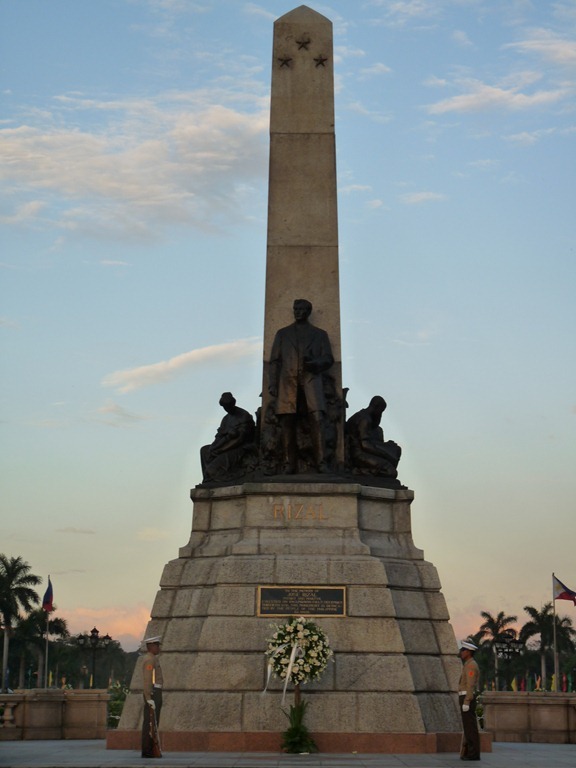 Of course, no trip to Rizal Park would be complete without a visit to the main attraction of the park, none other than the Rizal Monument itself. While this monument serves to represent the greatness of the country’s national hero, it is also a symbol of the way things work in the country, of how plans don’t turn out the way they’re supposed to be, for the better or otherwise. As I mentioned some posts ago, the Americans when they gazed upon what was then Bagumbayan Field already saw it as a potential center of the burgeoning power of the United States in the Philippines. And with Burnham’s vision of a “Manila Beautiful” set on the drawing board at least in 1905, the US colonial government was determined make that dream of Manila’s National Mall into reality. The first order of business is getting what would be Manila’s counterpart Washington monument for this planned Manila National Mall. At the same time, the US, as early as 1901, already recognized the heroism of Jose Rizal, who died 5 years earlier on December 30. While the US had different ideas on how to promote Rizal, the proposal of building a memorial in his honor where he could be laid to rest was something even the Filipinos who were still resisting US rule could find hard to disagree with. So for the next 4 years, a fund raising was held for funding the proposed memorial. Soon enough, these 2 ideas converged. With funds now in place, an art competition was soon set to determine the structure that will not only be worthy of Jose Rizal’s stature, but will also become the centerpiece of Manila’s National Mall as well as the ideal of a “Manila Beautiful” as Burnham envisioned. About forty participants exhibited their proposals but ultimately, an Italian sculptor named Carlo Nicoli bagged the first prize for his intricate, European-inspired work entitled “Al Martir de Bagumbayan” (The Martyr of Bagumbayan) which, as you can see below, is reminiscent of those grandiose sculptures one can find in Europe. Being the first prize winner, it is expected that Nicoli’s work would get to be built, right? Well here’s where the story gets more interesting. c) Nicoli failed to attend to the contract-signing. 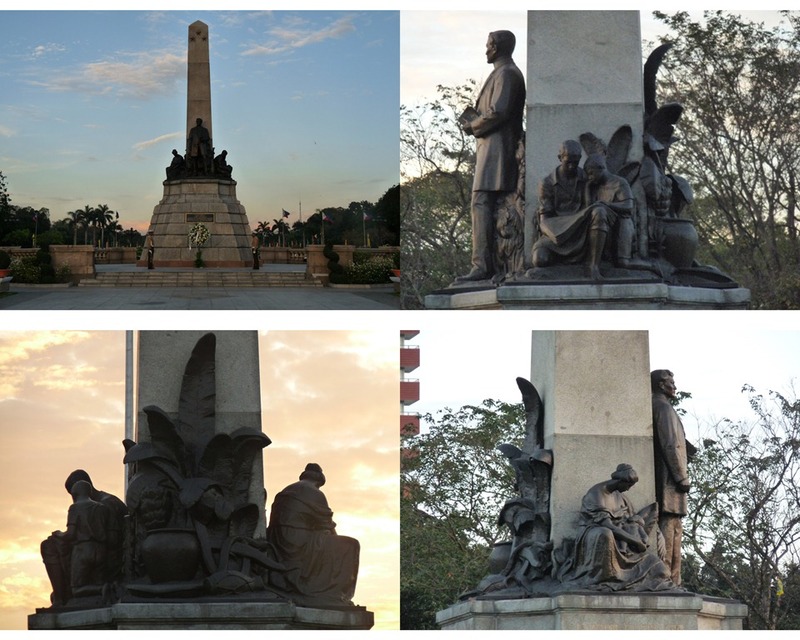 It took years for this monument to be completed, but on Rizal Day of 1912, as it was nearing completion, a ceremony was held for the transfer of Jose Rizal’s remains from Paco Park to the base of the monument. Thus it came to pass that this monument would be one of the few examples of monuments that actually serves as a place of burial. 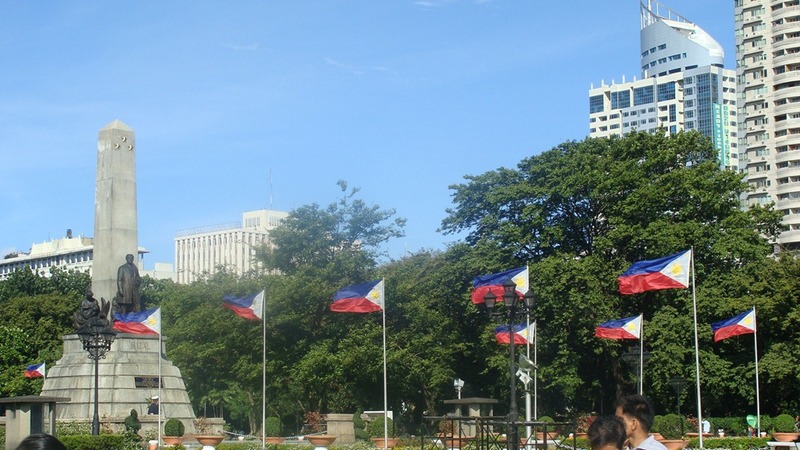 Rizal monument would be formally unveiled exactly one year later as the centerpiece of the park that now bears the hero’s name. Since then, Rizal monument has become THE definitive Philippine landmark even though one can’t help notice that the monument may have seen better days, especially in these times when people try to outdo one another in building the structures, whether it’s a building or a monument. (you can probably cite the Lapu-Lapu monument right across the Rizal one on the farther end) But perhaps it serves a representation of the Filipino spirit, which Rizal himself lived by: the underlying greatness and the ability to survive of the Filipino in spite of being overlooked by others, in spite of whatever obstacles or odds that come his way as he makes his own mark in moving his nation forward. Contrary to a number of misconceptions though, the Rizal monument was not actually built on the site where Rizal was shot. The placement of the monument as where it is right now is more of a product of aesthetics and strategic planning. Remember, as was mentioned earlier, the planning had been done by the Americans with Washington National Mall in mind. So the monument had to placed front and center, so to speak of the park complex. The actual execution site is located a few meters away in the area facing what is now Padre Burgos St. If you have trouble looking it, you don’t have to worry as the area is marked today with life-sized sculptures depicting Rizal’s final moments, most especially his execution on December 30, 1896, even a marker on the ground that marks the spot where Rizal stood and fell to the guns of the government’s firing squad. The place is also known as the Rizal Martyrdom Light and Sound Show, where a light and sound presentation was being held in the evenings, dramatizing Rizal’s final hours. I’m not sure if there are still such presentations being held today though.